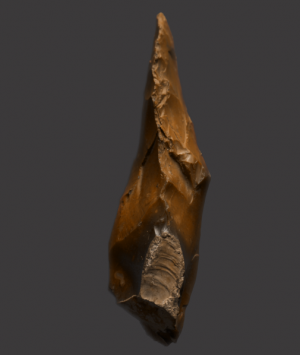 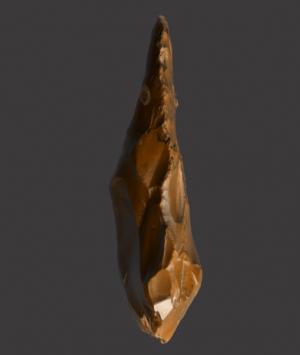 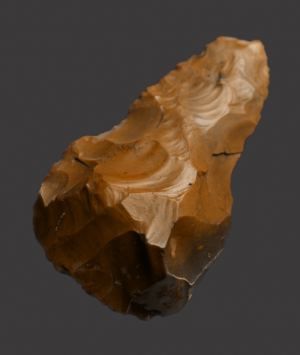 The county of Norfolk is a very well known and important source of Palaeolithic material, with a number of documented sites both inland and at the coast. 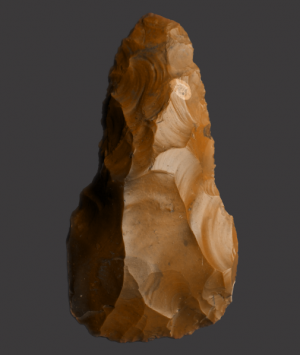 Indeed, Norfolk has provided the earliest evidence of human presence and occupation in Britain. 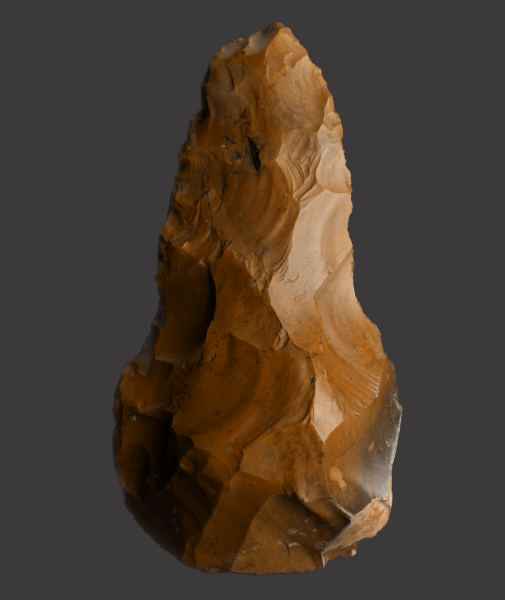 This fine, rare and large British Palaeolithic hand axe is noteworthy, being of a form seldom encountered. It has been very well worked and displays a beautiful rich patina.